How do I stream pre-recorded videos? 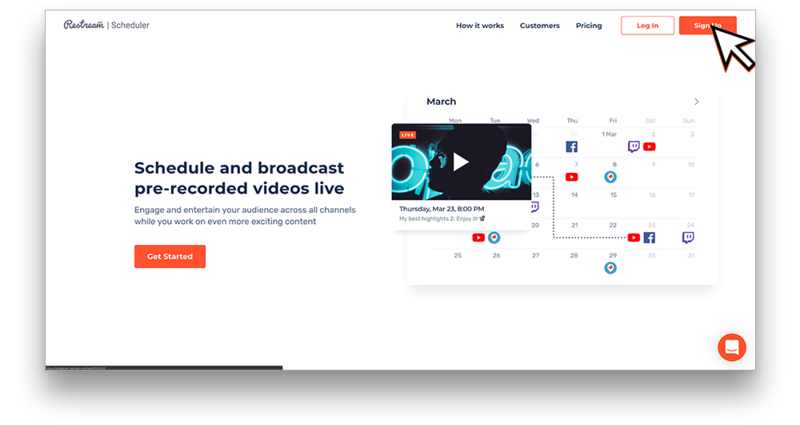 Restream Scheduler is a unique service offered by Restream that allows you to live stream pre-recorded videos on your behalf to your connect channels at a certain date and time! 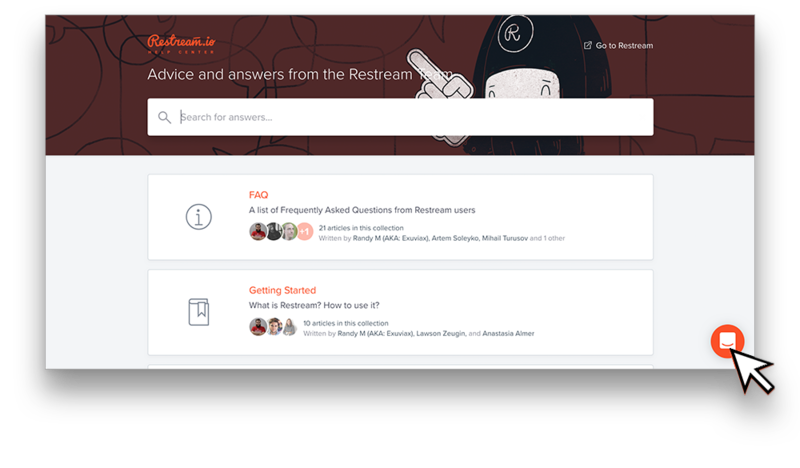 Although Restream Scheduler is a separate service from Restream, you will need a Restream account to use Restream Scheduler. The Scheduler will connect to your Restream account and use the channels connected on your Restream Dashboard as destinations. To get started with Restream Scheduler, please go to https://scheduler.restream.io and click "Start Now." From the signup tab, create a new account. You will need a unique username, email address and password. After you have created your account, you will be asked if you want to grant Restream Scheduler access to your Restream account. Click "Allow" to continue. 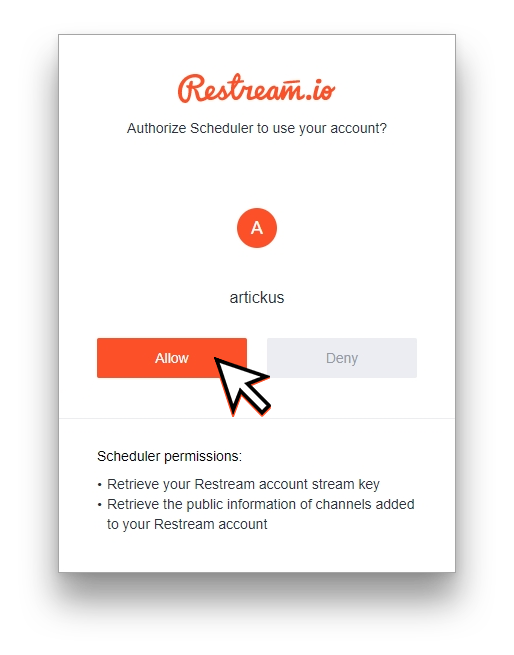 To get started with Restream Scheduler, please go to https://scheduler.restream.io/ and click "Login." 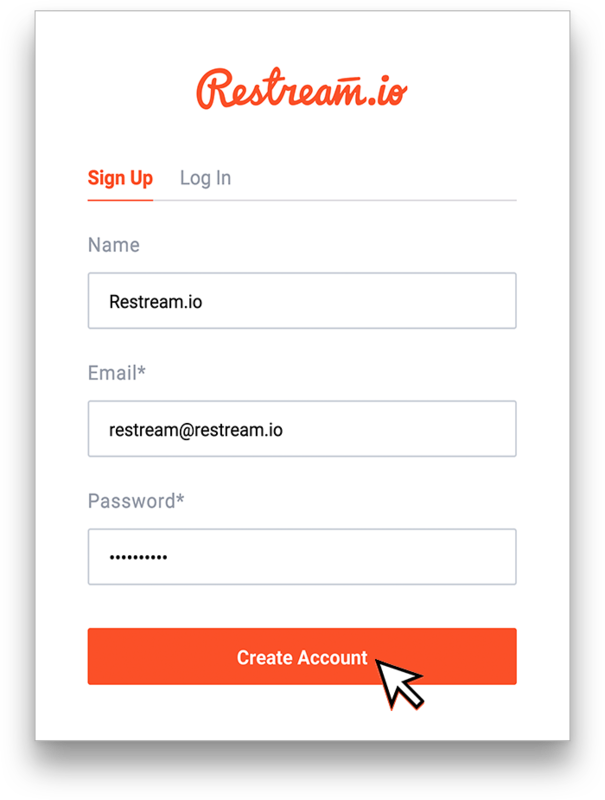 If prompted, insert your Restream email and password and click "Login," then click "Allow" to let Restream Scheduler access your Restream account. 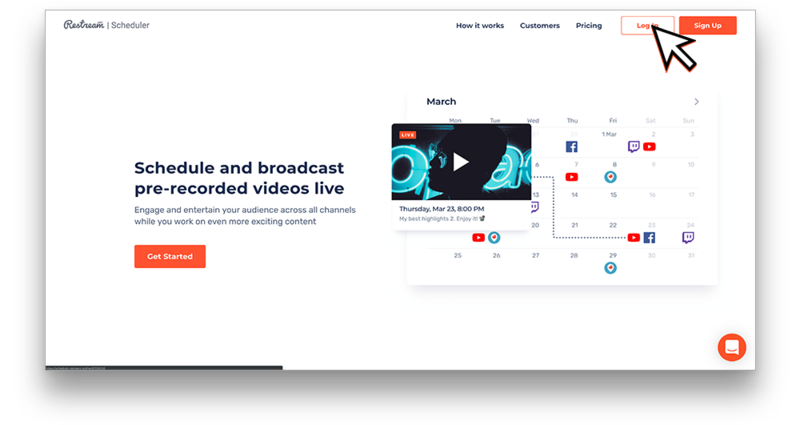 For more video storage, length or other features, please check the Restream Scheduler Pricing Page. To upload a video to the Restream Scheduler, go to the "Content" tab and click "Upload video" and choose a file from your device. Alternatively, you can click the down-arrow and provide a Dropbox or Google Drive URL to a video. How to use Frame.io and Scheduler integration? To schedule an event with Restream Scheduler, click "Schedule Event" from your Events Dashboard. Choose the title, date and time of the event, stream destinations and of course what you want to stream!